BandQuest @ Dirty South, Saturday! After an exciting couple of weeks following from our Treason EP release and a performance at The Camden Rock in Kentish Town, we are very excited for this Saturday 31st March, when we play in BandQuest at the Dirty South, Lewisham! It’s a nice £4 entry; email us to secure a pre-show ticket at band@orpheum.co or you will have the chance to pay at the door. We will be on stage at 7:30pm (doors 7pm) and there are some other excellent bands on too! A bargain and sure to be a great night! Orpheum’s first EP, Treason is officially released today! 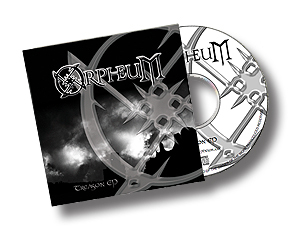 The CD and Download; which comes with an exclusive Official Orpheum Store artwork, are available from orpheum.co/store! Also available at iTunes and other download outlets. Drop by today to pick one up! We are pleased to announce that Treason will be opening the The Groovy Ghoulie show on Dark Mother Media, this Saturday (March 3rd) 4pm EST, 9pm UK.